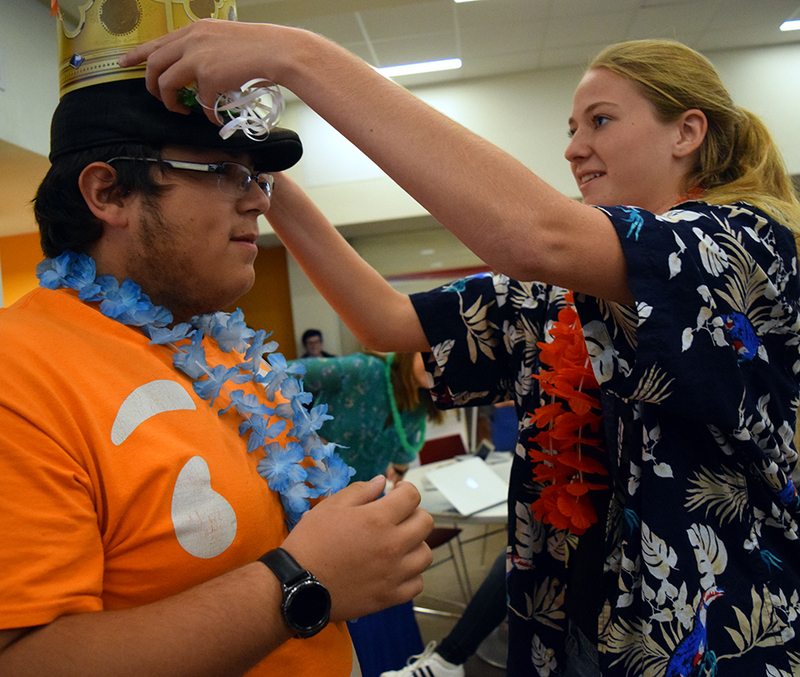 Senior Jayson Salinas is crowned as a member of the homecoming court by junior Ashlyn Bunch. A: “I don’t know, I’m a meme. I guess they wanted to see the meme up there.